While everybody in the world would tell you that the most important thing is to be happy, paradoxically most people actually 'like to suffer'. The emotions that make us suffer like anger, are actually our tools of trade for getting what we think makes us happy in this world. So it's actually easier to suffer than to be happy. Most of the time people are angry, worried, scarred, jealous, envious, hateful, and vengeful. We often miss others, or desire something, all things that control our mind. Love can also be a form of suffering when its associated with jealousy and possessiveness. All these thoughts and emotions tend to control us and set our daily trajectories. Sit back and think about it. Do you control your own emotions, or do they control you? However happiness comes from doing the simplest of things which give us contentment. This is a state of mind that very few people have, because it's too easy to be angry, jealous, scarred, or envious, etc. These emotions tend to come automatically to us when we experience and feel something about what is happening in the world around us. Happiness can also be a deceit. We think we are happy but this illusion of happiness is really desire, greed, or vengeance in disguise. So we are in almost eternal suffering, sometimes even looking for problems to worry about. We think that winning an argument, showing our anger, or taking out vengeance makes us happy. People often see anger as something good because it assists them get what they want. Anger is just the easy way out of things. However they don't see the costs to us that these destructive emotions actually have on our wellbeing and contentment in life. So suffering is something that tends to come naturally to us. Because suffering is attached to our emotions we can never eliminate it, but through control of our emotions we can keep suffering in check. So how do we control these emotions? First we have to know what happiness actually is. We think that happiness is owning a beautiful house or car, having luxury holidays, and going out on the town. We relate happiness to what we want, or desire and satisfying this desire. Happiness to us is related to spending. Happiness is actually a state that is inert within us. 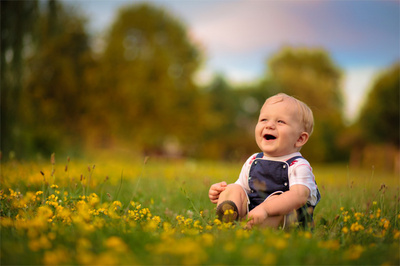 Happiness is about enjoying simple things in the 'here and now', rather than in the past or future. It's not about yesterday's memories, or about what we want tomorrow. It's about enjoying the time we take to walk to the bus stop, sip our coffee, meet a friend, or taking up a challenge. Happiness is about a change in mindset. We see all the emotions coming around us, but we don't let ourselves become affected by these gathering feelings. Happiness is about breaking through and stopping our automatic responses to the emotions of greed and envy, etc, that come to influence and take control of us. Achieve the above and you will be wealthy in happiness. I Happily Suffered and Suffered Happily through your interesting and insightful Essay, Sir.